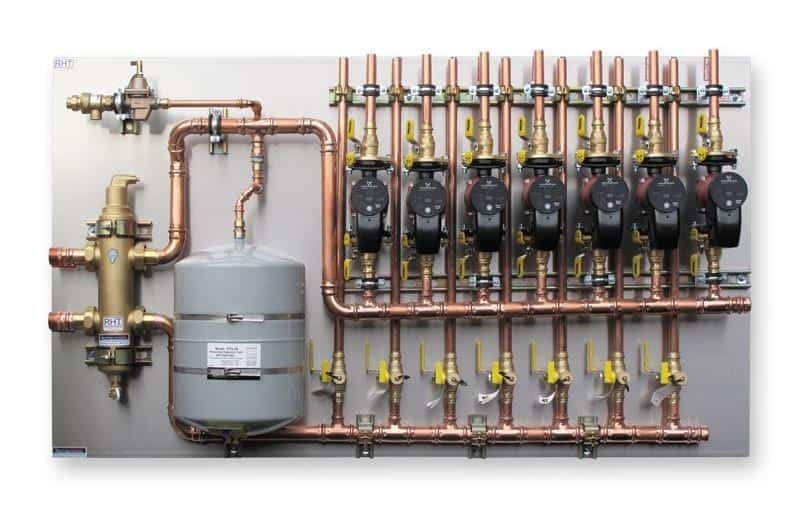 Want to save both money and time on your Hydronic Heating project? 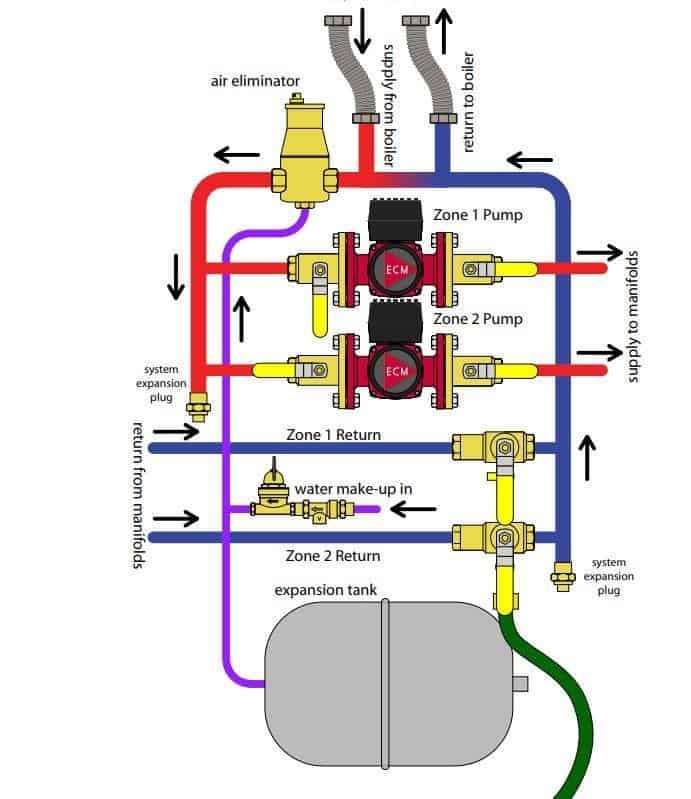 Professionally designed and manufactured pump panels are the best solution for multiple pumps or zoned hydronic systems! 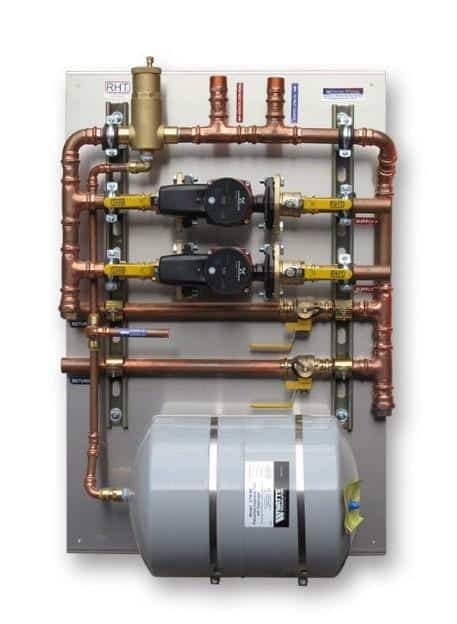 We take all the labor cost out of assembling hydronic pump systems and place the entire unit on an aluminum mounting panel that you simply attach to the wall. 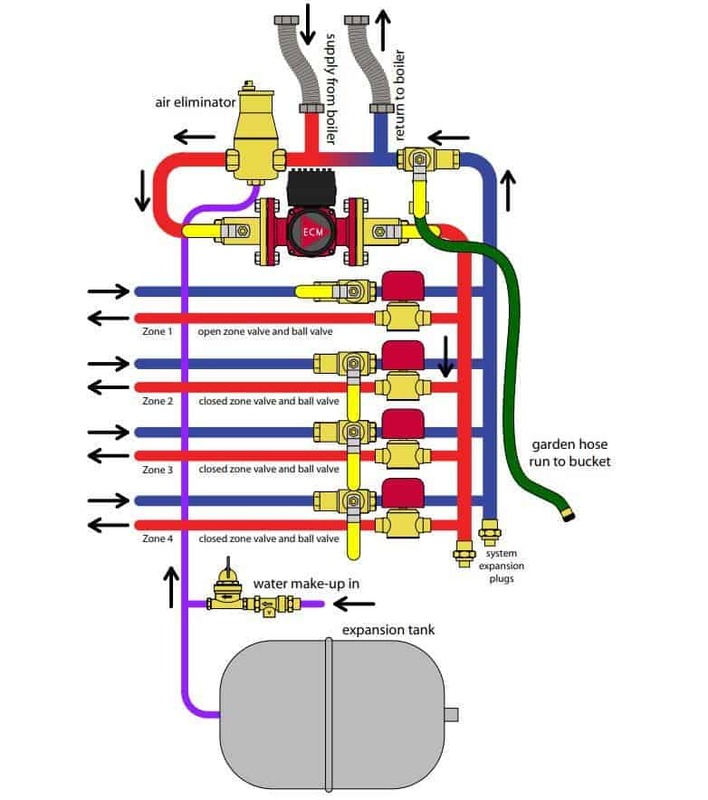 This includes all fitting, pumps, shutoff valves, air bleeders, expansion tanks, mixing valves and much more. You save both in time and money with the most professional installation package available. All our system are 100% tested and guaranteed free of leaks. 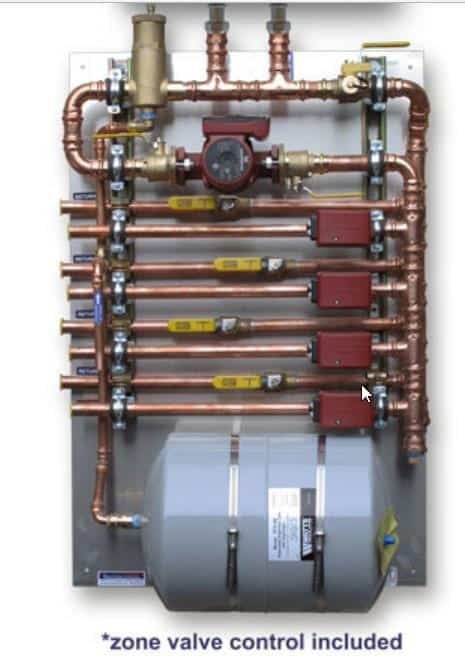 With a Pre-fab pump panel you save money on labor but more importantly you are guaranteed to have a package that is engineered using best hydronic technical design practices. Our supplier has been manufacturing hydronic panels for over 35 years! If you find a package that does not quite meet your requirements we can fully customize our panels to suit your needs. We can also provide much larger systems so simply call us and let us know your requirements. The compact design allows you to place the units on any wall taking up as little as 24” x 36” at a depth of only 13”. 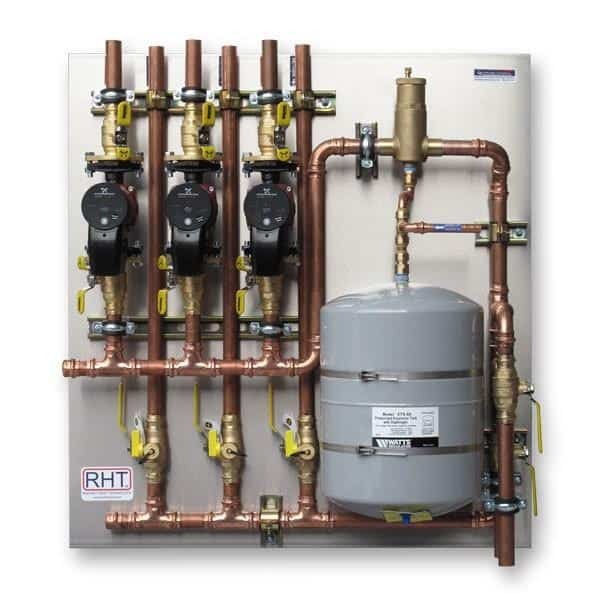 The Hydronic Pump Panels provide for a clean custom installation and professional look that can rarely be matched by most pipe fitters all with 100% guarantee!